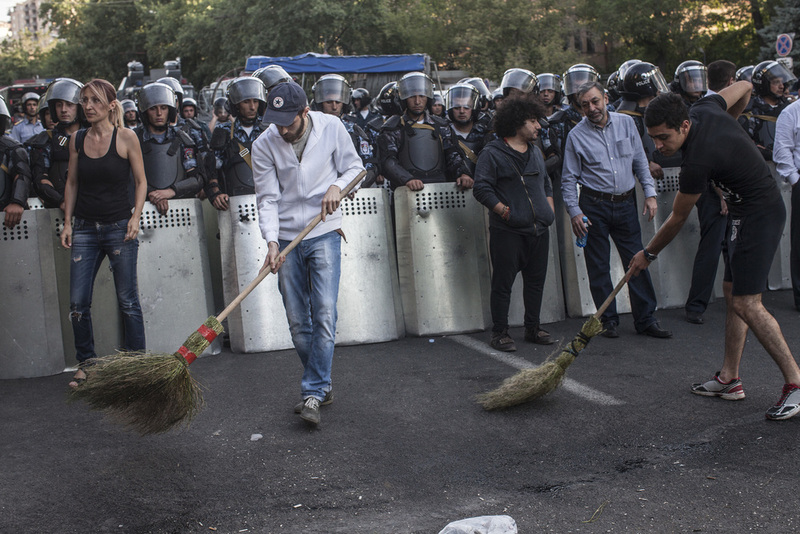 Fourteen Electrifying Days - The following photos chronicle the two-week standoff (June 22 – July 6) between police and Armenians outraged at the decision by the Public Service Regulatory Commission to increase electricity prices. 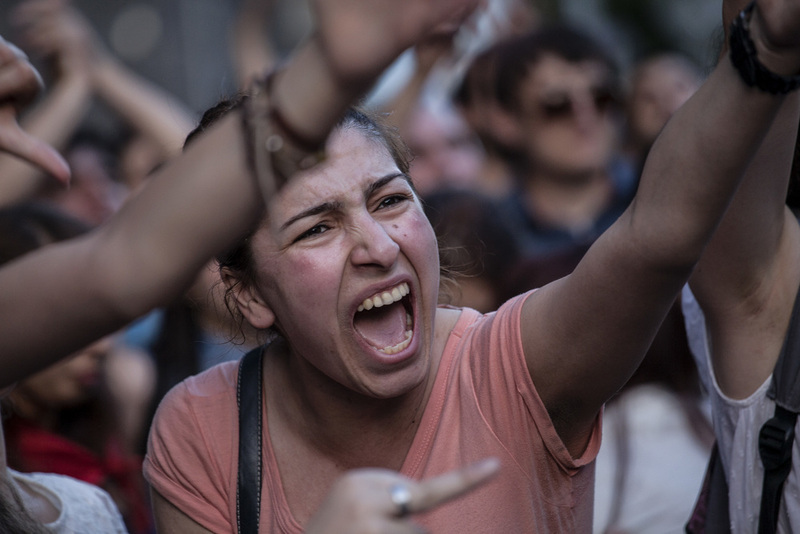 For two straight weeks, protesters in Armenia’s capital city Yerevan managed to shut down Baghramyan Avenue, the road leading to the Presidential palace, where protesters had intended to voice their grievances and demands. 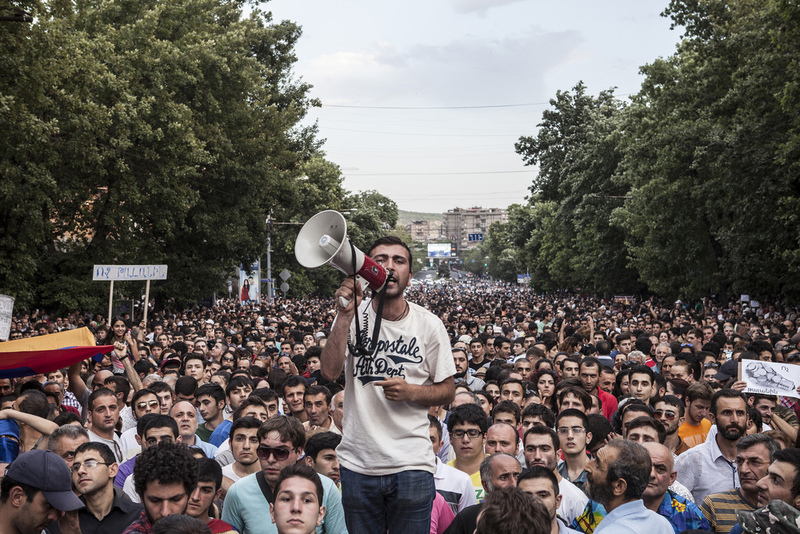 At the peak of the movement close to 20,000 Armenians occupied this thoroughfare. The 14 day standoff ended shortly past noon on Monday July 6 when police moved in and cleared the street of the barricade of trash dumpsters and removed dozens of protesters. The three demands set forth by protesters - to reverse the electricity price increase, to review last year’s price increase with the purpose of reduction, and to punish all law-breaking police officers who beat peaceful demonstrators during the morning of June 23rd (the incident that ignited the overwhelming public outrage) - were never met. However, these two weeks showed the strength of the Armenian people and made clear their discontent with the Armenian government’s lack of accountability and transparency. 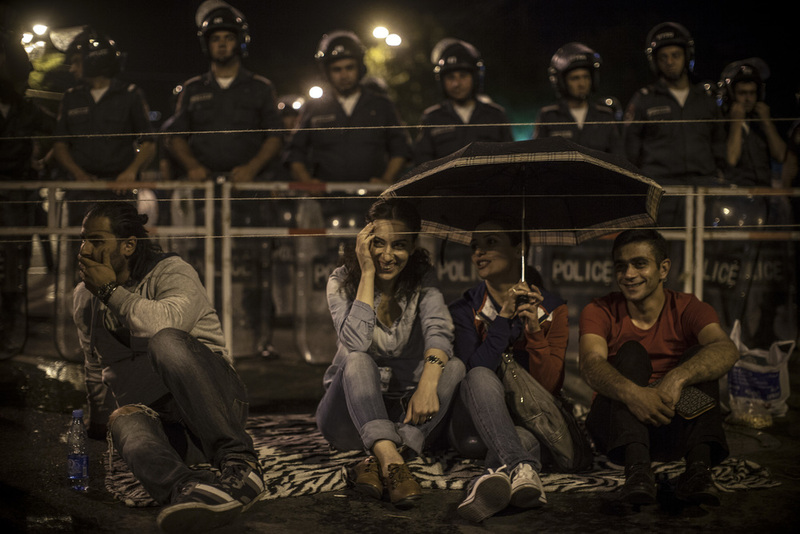 On the evening of July 6, only hours after Baghramyan Ave. was reopened to traffic, Armenians gathered in Liberty Square to discuss their next steps. A few spent the night on the steps of the Opera House, and it was decided to regroup Thursday July 9, 7pm at the square and march through the city center.